Mehndi is actually a type of art. It’s called a body art. It is created by powered dry leaves of henna plant. Its comes from Ancient India. 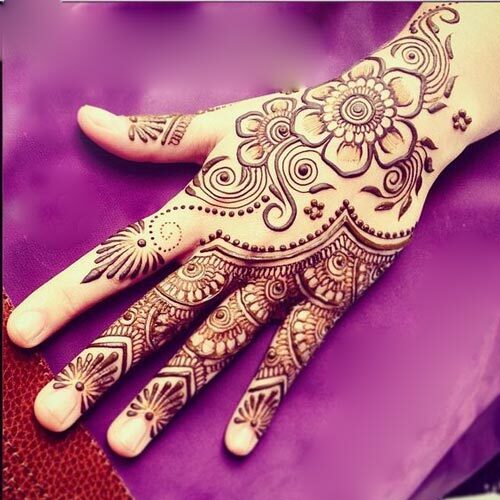 Mehndi or mehndi designs are very famous image among women when it started. It is mostly among in Indian subcontinent, Africa and Middle East’s women. Now ,Henna is use as tattoo on arms and backs. It becomes fashion , even we have available different colors in mehndi. Reddish mehndi is use for the flesh out the outline of design and normal mehndi is use to fill up the entire mehndi design. Mehndi designs for fingers should be simple a . Don’t put hole mehndi on fingers. 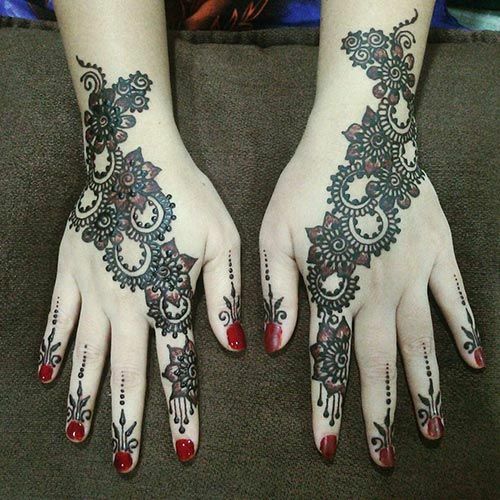 Mehndi Designs for Fingers are usually suitable as well as cute ,simple and attractive designs. Mostly ladies choose Arabic design for fingers . Arabic design is attractive and adorable in looks. Some ladies are apply Indian designs on their fingers. Its also depends on your hands and fingers. 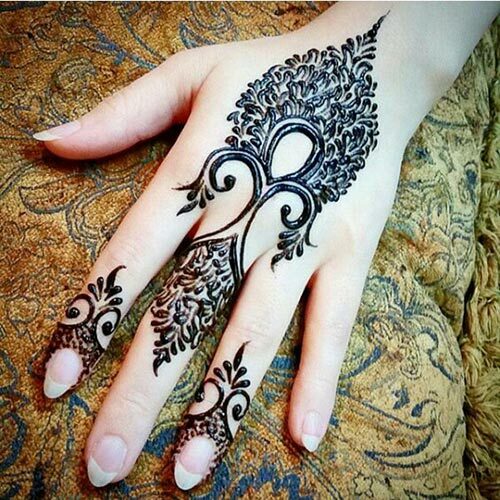 Always keep one point in your mind that black mehndi can be makes dangerous skin allergies . Because natural color of mehndi (henna) is reddish brown.